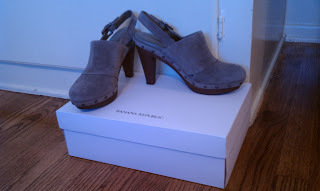 As the new Fall and Winter shoe fashions came up on us in late August, the clog intrigued me the most. It has the nostalgic tone of the 70’s style that went hand in hand with Farah’s flipped hair do and oversized sunglasses. In more modern times, I’ve only seen women sport a very dowdy version of the shoe that makes me wonder if they were really going for that homely look at the office. Excited about the fresh modernized update on the clog, I immediately tried on as many as I could find in my vicinity. The let down is that while they were cute, I couldn’t shake the feeling that I was that “other” kind of working girl, no matter what I was wearing while trying them on. This was totally unacceptable for work. 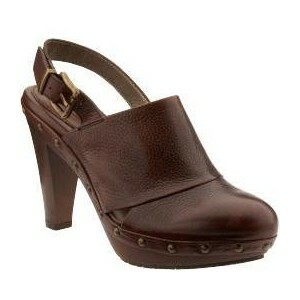 But I was determined to find a work appropriate clog for the season. And I finally succeeded. What makes this pair a win is their shape and style. 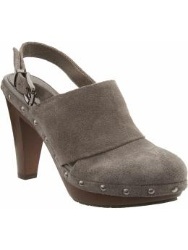 They hang with the rest of the fabulous clogs out there in the 4” range, with about 1” being the clog platform. The inner sole is entirely cushioned with a pad that you can feel hug your foot when you slip it on. This delicious cushion padding makes it perfect for sporting them all day long. The very simple and streamlined design of this clog keeps it clean and sophisticated. 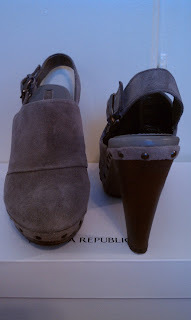 There is some detailing with the seaming across the shoe but its very minimal in that Calvin Klein kind of way. And you want that because since its a clog (a little over the top already) keeping it clean and minimal makes it more work appropriate. 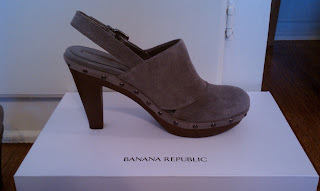 This is one gorgeous clog! You really have good taste and know how to spot a good shoe. Not sure if it's healthy for me to hang around you and your blog! LOL! OMG seriously don't think it's healthy for me to hang around her either. Yo quiero! @shoe-radar.com YOU TOTALLY need to figure out the clog for YOUR shoe closet... ;) I'd love to see what you consider and actually get! I"m BACK IN LA LA LAND! xoxo to you all!! These would be my "going out" clogs!